Stellar Four: Is "Gravity" a Science Fiction Movie? Or Is It Just Fiction? 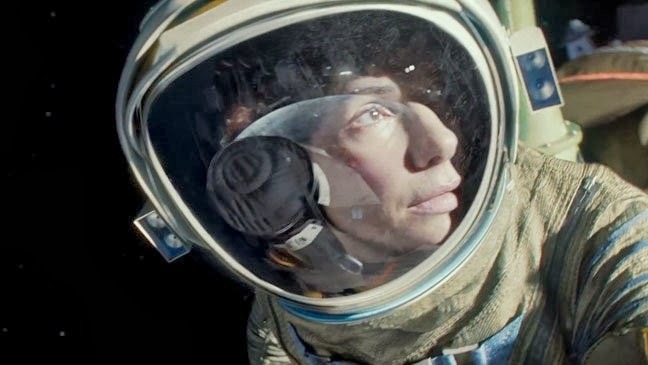 Is "Gravity" a Science Fiction Movie? Or Is It Just Fiction? The new Sandra Bullock/Gorgeous George Clooney film Gravity opens today nationwide, and so far the reviews indicate that a) it's really, really good and b) it really, really needs to be seen in 3D on the big screen. Motion sickness: Now in 3D! You'll get no backtalk from me on that latter point. I want to see the filmmaking wizardry that went into making the production seem gravity free as the characters deal with their shuttle being destroyed during a routine spacewalk. Plus, I defy you to name two more likable actors than Bullock and Clooney — other than Tom Hanks, of course, who is the patron saint of Awesome People Who Would Ruin My Day If It Turns Out They're Secretly Jerks Not That I Think He Actually Is A Jerk Or Anything He Is Clearly The Best. Anyway, my friend Erik made an interesting point about Gravity on Facebook this morning, asking if it can really be called science fiction. Basically, his question boiled down to whether having a fictional story that involves science is enough to make something science fiction. My first response was, no, to be science fiction, it has to have futuristic tech. But then I started to have second thoughts on that. So I ask you, does a story have to be futuristic in order to be science fiction? Read on, and join me in this debate. Definitions of science fiction don't necessarily agree on whether there needs to be a futuristic element. The great Ray Bradbury said it's "really sociological studies of the future, things that the writer believes are going to happen by putting two and two together." Wikipedia (ugh, yes, I know, I'm that guy quoting Wikipedia) says it's "a genre of fiction dealing with imaginative content such as futuristic settings [and] futuristic science and technology." Isaac Asimov defines it as "that branch of literature which is concerned with the impact of scientific advance upon human beings." I like Robert Heinlein, writing in Science Fiction: Its Nature, Faults and Virtues in 1969, the best: "A handy short definition of almost all science fiction might read: realistic speculation about possible future events, based solidly on adequate knowledge of the real world, past and present, and on a thorough understanding of the nature and significance of the scientific method. To make this definition cover all science fiction (instead of 'almost all') it is necessary to only strike out the word 'future.'" It's easy to point to the Star Trek properties and declare them science fiction; they feature fantastic leaps of technology in a future setting. Blade Runner is sci fi because, you know, androids and dystopia. 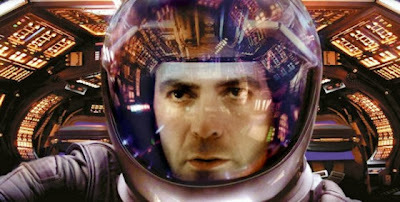 2001: A Space Odyssey, Looper, The Matrix, Total Recall, Contact, Moon, Robocop, Firefly, District 9, The Day the Earth Stood Still ... obviously all science fiction, obviously all dealing with technology that doesn't exist in our everyday lives, often in a repressive or hopeless future setting. 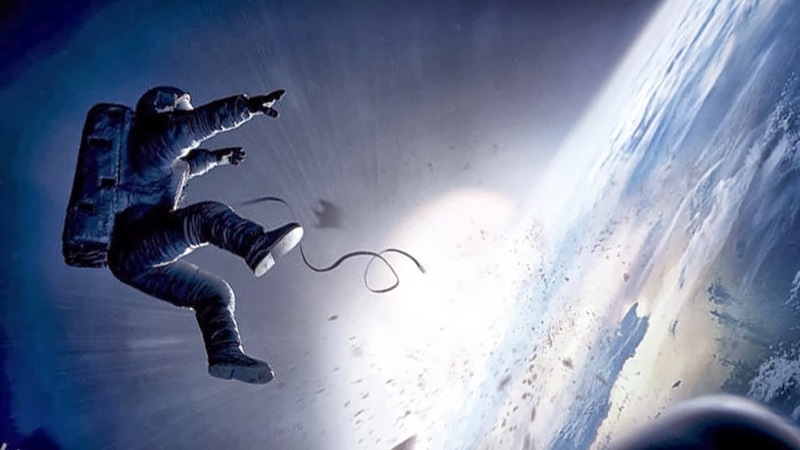 Gravity occupies a smaller niche: outer space movies with technology we've already mastered. I'm not sure I'd consider The Right Stuff, October Sky or Apollo 13 science fiction movies, as they feel more like historical documents. Entertaining ones, to be sure, but not the flashy "gee whiz" future that we expect from sci fi. And yet, do these films not say something about how technology changed us as humans and altered mankind's relationship with the heavens? Likewise, will Gravity not make us consider humanity's struggle to survive in the face of a catastrophic failure of technology? I'm thinking that these past and present examinations of how technology shapes our perception of the world can and should be considered science fiction. So what do you think? Does science fiction, for you, have to involve not-yet-realized technologies in a not-yet-reached time? Or is it any story that involves science and technology, even current examples, as they influence humanity and society? Before this article I would say that science fiction has to have something that definitely sets it apart from day to day life. Having thought about it I'm now more undecided, not less. I think it's really one of those eye of the beholder things. Fantasy has been having to deal with the muddling classification of paranormal/urban fantasy where the elements are really understated and it could go both ways. I guess this is just the flip side. You know, having seen the movie this weekend, I'm still not sure where to place it. It's definitely tense action, but in an outer space catastrophe situation. Sci fi-ish, but a deeply personal triumph over adversity film, too. Still a tough call. And I feel you on the book classifications. I'm never sure where to put paranormal romance. Urban fantasy/fantasy? Romance? Could go either way. Once the lights fade and darkness envelops the theatre you're part of Stone's journey through the infinite.